REU and research mentor at the SRP Symposium. Crop yield losses caused by plant disease are in the value of billions of dollars worldwide each year, which has made it an alarming threat to the food security in feeding a burgeoning global population. Understanding and eventually manipulating for crop improvement the key molecular mechanisms that plants use to defend against various pathogens are thus of considerable agricultural, economic, and social importance. Among the mechanisms pivotal for host defense is ubiquitination, a major post-translational protein modification process that occurs in plant, animal, and human cells. A particular type of unconventional modification of proteins by ubiquitin, lysine (K)-63-linked ubiquitination, is well documented to be crucial in modulating human and animal innate and adaptive immunity. However, the roles of K63-linked ubiquitination in plant immunity and other plant physiological processes have been significantly understudied, even though K63-linkage is the second most abundant type of ubiquitination in plants. 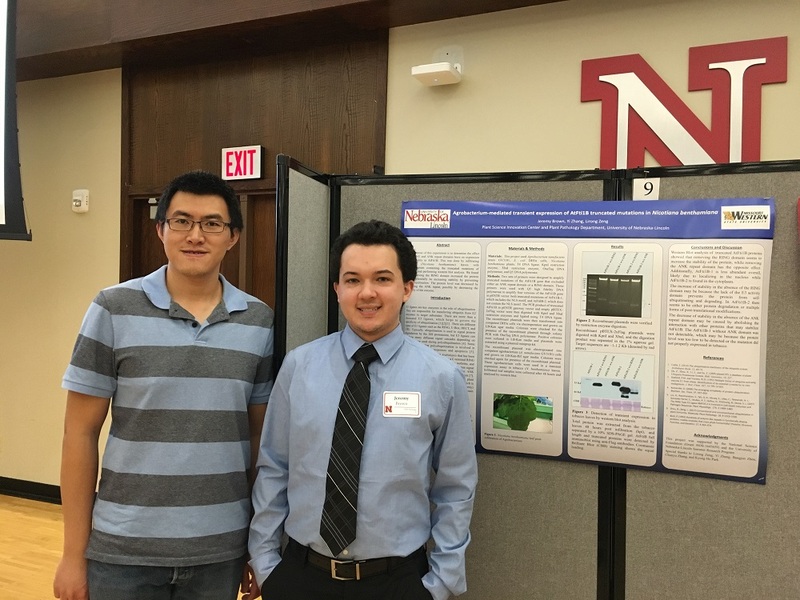 This project investigates the mechanistic basis of regulating plant innate immunity by this type of unconventional ubiquitination and includes education development for high school science teachers and minority undergraduate students and outreach to the Nebraska farmers and stakeholders. Lirong Zeng is a molecular plant pathologist. His research has focused on the identification and characterization of genes and signal transduction pathways involved in plant immunity against microbial pathogens, particularly the roles and mechanism by which the ubiquitination system regulates plant defense responses. Given that plant immunity is inextricably connected to plant development and environmental factors, his research also involves understanding the signaling crosstalk that orchestrates plant responses to different intrinsic and extrinsic signals. Lirong's long-term goal is to elucidate and eventually manipulate for crop improvement the key molecular mechanisms that plants use to defend themselves against different biotic stresses.